Most of these premiums are available by phone only. Please call 800-549-8855 (549-8855) to pledge and claim one of these gifts. SOME GIFTS MAY BE 100% CLAIMED. WE WILL DO OUR BEST TO KEEP THIS LIST UP-TO-DATE. 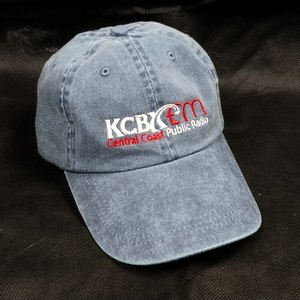 Our 2018 KCBX cap is washed navy blue with the KCBX logo prominently displayed. 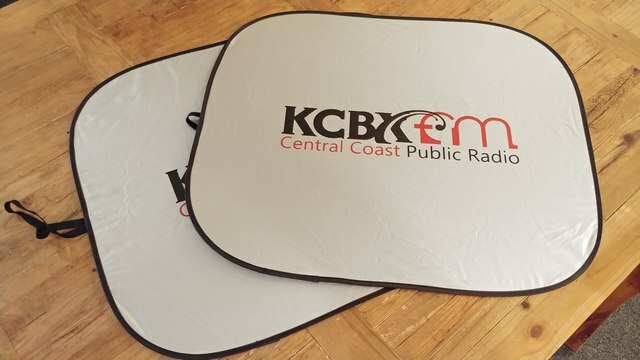 Keep your car cool with this one-of-a-kind KCBX car sunshade. Fits most standard cars. Each shade is 28" x 24". 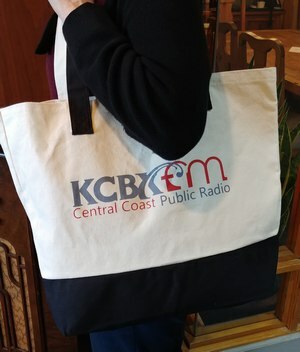 Our 2018 canvas tote bag is all cotton with black accents with the KCBX logo prominently displayed. Show others that you support public radio when packing groceries or just out and about. Let the world know you're a KCBX listener and supporter with our license plate frame.